The full story of the development and codification of Scientology can be found in scores of books, more than 15,000 pages of technical writing and more than 3,000 taped lectures. All told, these works represent a lifetime of research by L. Ron Hubbard to discover a workable means to set men spiritually free–to replace ignorance with knowledge, doubts with certainty and misery with happiness. 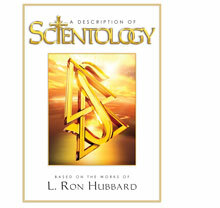 Today, the fruits of L. Ron Hubbard’s work are available to anyone who wishes to reach for them. And no matter how different Scientologists may be – whether teachers and businessmen, housewives and athletes, artists and secretaries – they hold one vital factor in common: having significantly bettered their lives, they know that Scientology works.